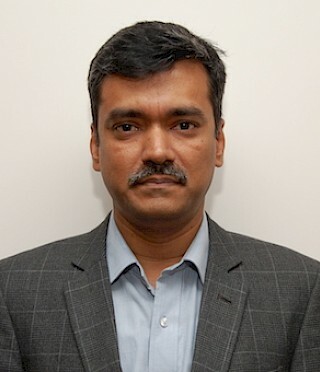 CV Madhukar leads Governance & Citizen Engagement investments for Omidyar Network India Advisors. He invests in for-profit and nonprofit organizations in India that enable civic participation and promote greater transparency and accountability in government. Prior to joining Omidyar Network, Madhukar was the co-founder and director of PRS Legislative Research, an institution that aims to make India’s legislative process better informed, more transparent and participatory. Before PRS, Madhukar worked at the World Bank in Washington D.C.
Mr. Madhukar began his career as an investment banker with ICICI Securities. During his tenure at ICICI Securities he volunteered much of his time contributing to the growth of Pratham, one of the most recognized nonprofit organizations providing basic education in India. In early 2000, he co-founded Akshara Foundation and helped establish the Azim Premji Foundation. Madhukar earned a master’s degree in public administration from the John F. Kennedy School of Government at Harvard University where he was an Edward S. Mason fellow. He also has an MBA in finance from the University of Houston and a bachelor’s degree in civil engineering from Bangalore University. Madhukar is an Echoing Green fellow, Ashoka fellow, and Eisenhower fellow. He was elected Young Global Leader by the World Economic Forum.